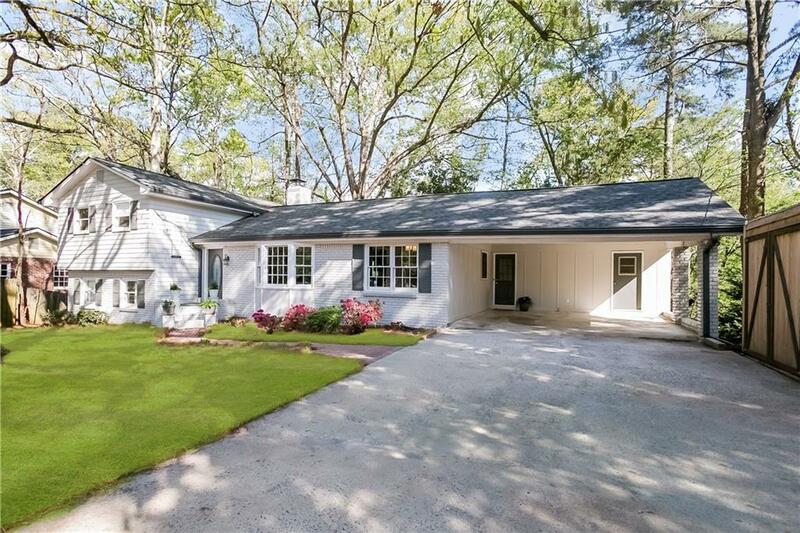 Beautiful renovated traditional home in sought after North Springs Neighborhood. The home features an open floor plan with 3 bedrooms / 2 full baths, updated kitchen with quartz countertops and stainless steel appliances, newly renovated bathrooms, hardwood floors and finished basement with wet bar /game area. Freshly painted interior and exterior. Spacious deck with wrap-around seating overlooks large backyard. New roof, gutters and gutter guards. Centrally located with easy access to 1-285 and 400. Close to Parks, Restaurants, and Schools.